Mounted on a 600mm wooden handle. Prodec Striker Paintbrush 2" is rated 4.8 out of 5 by 10. Rated 5 out of 5 by Jacko 2 from Good product Just the ticket,many thanks. Rated 5 out of 5 by Alastair1 from Does the job I bought this to paint some guttering that was just out of reach. The longer handle and angled brush made the job a breeze. Don't know how I managed to survive without one for all these years. The price is excellent, too. Rated 5 out of 5 by Busterb from Great selection I bought a prosecutor striker paint brush which I pre ordered, on collection I found friendly and helpful staff. Rated 5 out of 5 by H464 from dog leg brushes I use this type of brush to paint fences and find them very handy with the longer reach. Rated 5 out of 5 by stever19 from General Brush A brilliant brush. 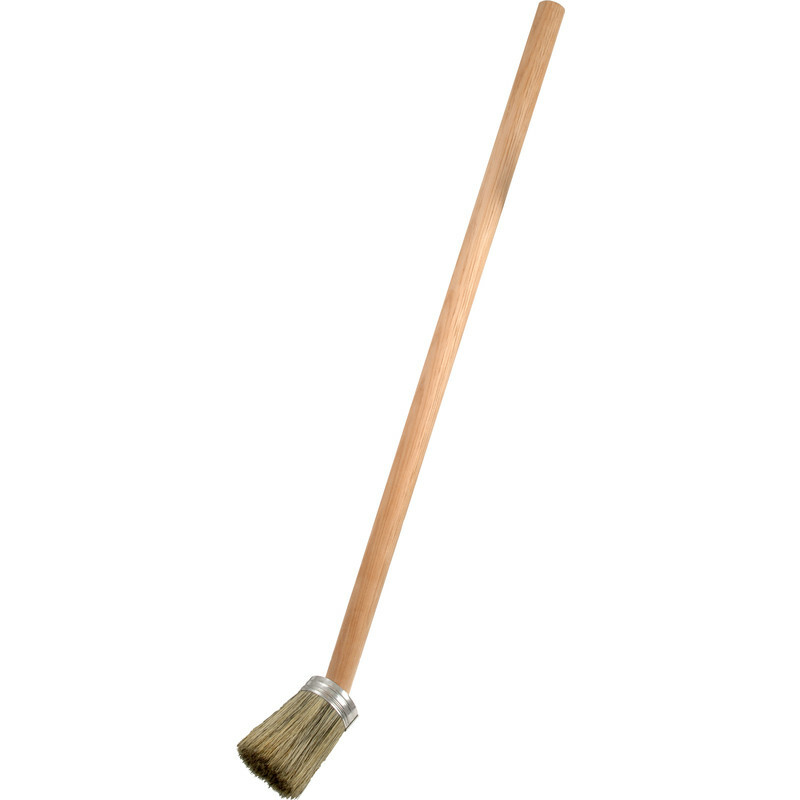 I've painted my garden fence panels, a wooden greenhouse, timber decking and a garage floor with this brush. Saves a lot of stooping and gets into awkward spots. Brush head holds loads of paint or decking oil so painting is quite fast. At £5.06 each it's hardly worth washing you bush out after a long job.